The Annex gym shorts are stretchy enough even for your legs. 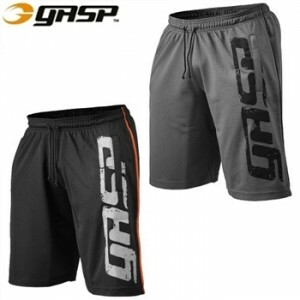 They are made from a breathable fabric that allows for moisture transportation and are designed for the GASP body and to enhance your physique – the perfect shorts for heavy workouts at the gym. You can also adjust the waist line with a draw cord for a perfect fit. Designed to meet the exact specifications of international physique organizations, the Classic Physique Shorts are suitable for competition. Captures that winning look by coming up high on your hips. Contrast stitching that brings out the best looks of your physique! 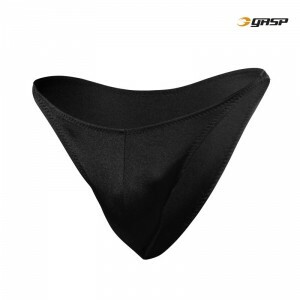 Gasp print on both sides! 90% Tactel-polyamide blended with 10% Lycra is the perfect fabric for high intensity workouts! The no: 1 advantage with tactel is the great moisture transportation that helps your body to stay dry. 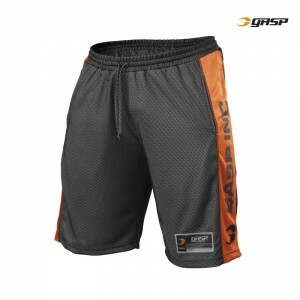 Shorts in GASP's special "flexible" mesh fabric. No need to cut off your mesh pants, we have done it for you! Print on side panel, 2 front pockets, GASP size and fit, to be used in the gym or on the street!